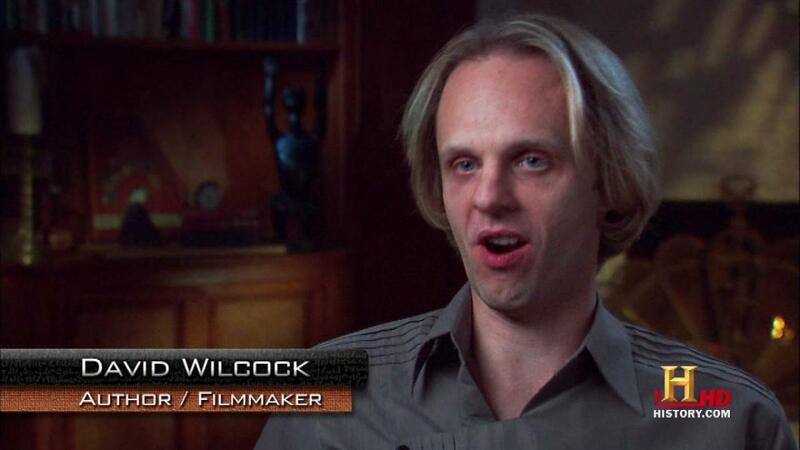 I HATE Ancient Aliens. There’s no other way to put it. I hate its premise; I hate its direction; and I hate it with a passion. 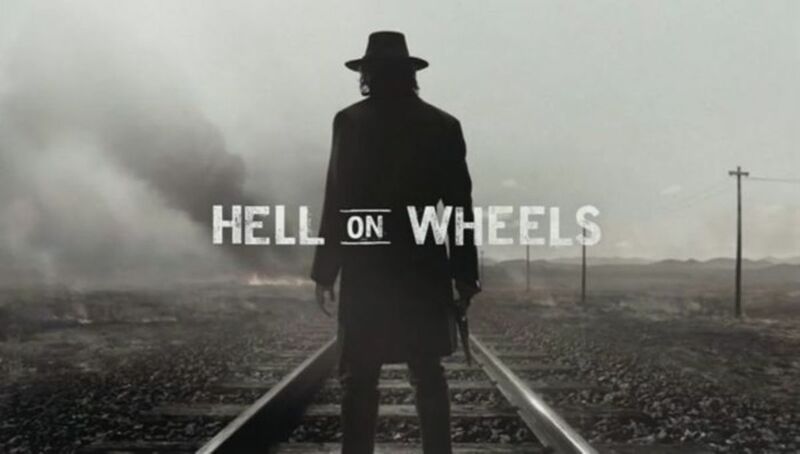 In fact, hate doesn’t come close to describe the revulsion I have for this show. I can waste my time coming up with a fancy introduction to this article to explain my point-of-view on the show, but why bother? It’s bad enough that I can’t change the channel fast enough to prevent the insidious garbage that spews from this show from flowing into my living room. This insipid show is one of many questionable offerings served up by the History Channel. 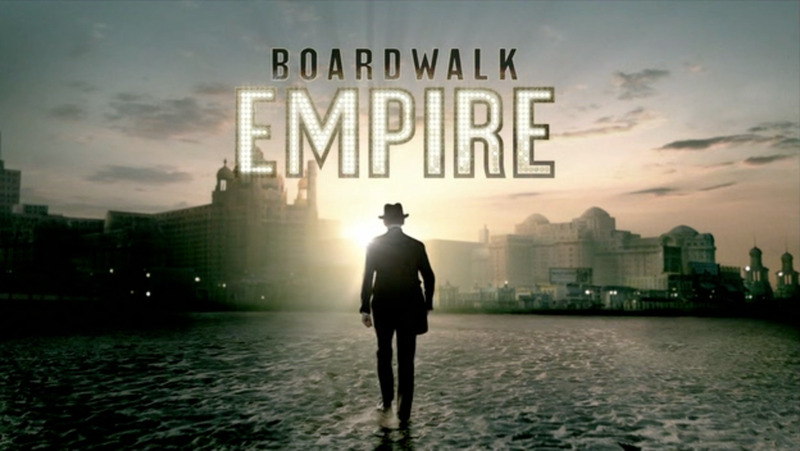 It’s been on the air for several seasons and has been a surprising success, considering how off the mark it gets. The producers want the public to believe that this is a well researched show that “brings to light” a topic that needs to be discussed and debated. But, in reality, its entire premise and message boils down all the mysteries of science to one mantra: Space aliens did it! Who built the pyramids of Giza? Aliens! Of course. How did the Mayan and Aztec civilizations rise to power? With the help of space aliens who promised to return one day. Who inspired some of history’s greatest artists, inventors, prophets, and scientists? Why none other than your friendly neighborhood aliens. Numerous conspiracies that can be blamed on those pesky aliens. Even Nostradamus and the so-called 2012 Mayan Calendar Apocalypse have been given the Ancient Alien treatment. The concept that “all roads lead to space aliens” is not the only annoyance on the program. The show’s other crowning achievement in futility is its gallery of “experts.” Some are guests others are regulars; yet, nearly all of them have dubious credentials in their respective fields. It’s not uncommon to see these experts labeled as “author and researcher” or “investigative journalist”. Such titles make the unsuspecting viewers believe they are listening to well-learned and highly professional people proving that their astounding claims are valid. Never mind that many of these experts -- seemingly dressed like Indiana Jones (complete with a fedora hat) with aviation sunglasses -- often have little or no understanding how to investigate a claim or to do any form of scientific research. Some of the guests appear to be genuine and have authored several books based on the subjects they claim to be experts in. However, if one will actually Google these experts’ names, one will discover that many of them are self-published and self-appointed researchers with little or no credentials (and if they do have credentials, it came from diploma mills). There are groups that are conspicuously excluded from the series. Skeptics are rarely brought in to debate these claims. And if they are, they are often given a few minutes to rebut any claims before being drowned out by the ancient alien theorists. If the show believes in creating debate on the matter, it’s obvious that they’ve taken sides and have become the cheerleaders for these pseudo-scientists. Two of the most visible experts on the show come to mind. Giorgio A. Tsoukalos and Erich von Däniken have made a name for themselves within the ancient alien theory circle. In fact, von Däniken is the person credited with starting the “theory” and for coining the term and its alternative, ancient astronaut. In some ancient alien theorist circles, Däniken is known as the granddaddy of the theory, and if he has a nickname, it wouldn’t be surprising that it’s Mr. Ancient Astronaut. It has been reported that Däniken was a daydreaming bell-hop from Switzerland when he came up with the theory. Later, he wrote a bestselling book (Chariots of the Gods?) which became an international best-seller and spurn numerous copycat books about UFOS and the paranormal during the early to mid 1970s. The ancient alien theory (and we’re taking liberty here calling it a theory) refers to the concept that extraterrestrial aliens came to Earth during ancient times and contributed to the growth of human civilization. Proof for this has always been sketchy and often involved the misinterpretations of ancient artifacts or unverified observations made by Däniken. Since the 1970s, when the theory took root, professional archeologists have debunked the claims made by von Däniken and his cohort. They’ve even gone as far as calling the ancient alien theorists frauds and hucksters. Some have labeled the concept racist (more on that later). Still, these theorists have crafted their claims and have found a niche market to spew their garbage. This includes the History Channel and this show (in which Däniken is listed as a consultant, producer and the inspiration). While Däniken is the inspiration for Ancient Alien, his protégé is the star. Tsoukalos is also a consulting producer for the show. As the publisher of Legendary Times and director of the Erich von Däniken Center for Ancient Alien Research (yes, there is such a place), he seemingly has the right credentials for the show. However, he has something else that the alleged egomaniac Däniken doesn’t: A presence on the screen (and this probably drives the former Swiss bellhop mad!). To its credit, the show has expressed the belief that ancient aliens were the inspiration for every society on Earth. However, the ancient alien theory and its proponents have been accused of being racist in the past. This is something the show can’t exactly escape, despite its attempt at inclusion. Originally, Däniken’s theory focused on non-European ancient civilizations. His original book leveled its “research” artifacts from the Mayans, Aztecs, Middle Eastern, African, and Asian societies. He found it bizarre that these civilization created intricate architecture or had complex social and religious systems. Thus, it comes as no surprise that he looked for anything to prove that monumental feats such as the Pyramids of Giza or the cities of the indigenous American cultures were created with the help of an alien race. Possibly, he had a hard time believing that non-European societies were as advanced as the ancient Europeans were (and possibly more). As mentioned, the show has veered away from the hidden racism that the theory entails. But that’s not an improvement. The show has taken a turn for the weird. Possibly it’s an attempt legitimize the theory or simply to stretch out the concept to make it a unifying theory for all things bizarre (and to keep viewers watching it). 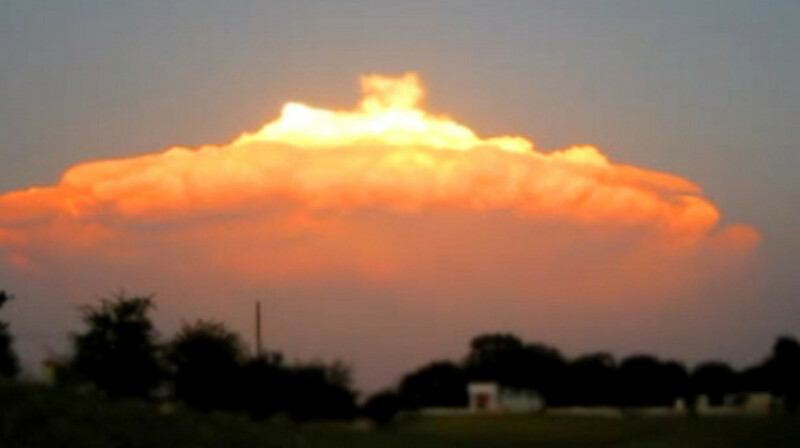 Natural formations are created by aliens. Natural disasters? Not quite! Aliens are suspects. Evolution, physics, DNA? Yep, it’s those aliens again. By now, it appears that all things human and all things mother Earth are the result of aliens. What more can one asks about these aliens? If an episode that first aired in 2015 is any indication, there’s a cosmic war between aliens that once happened, or is currently going on. And Earth and its inhabitants are in the cross-hair. How do we know? We’ll just take it that the experts on Ancient Alien have the answer. It’s hard to believe this show has lasted a decade. 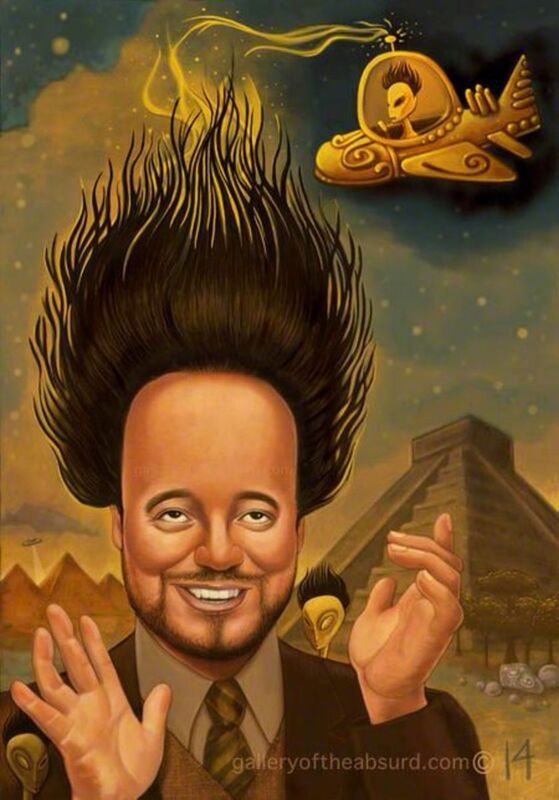 If it’s not the ridiculous ploy of aliens infiltrating all aspects of life it’s Tsoukalos rambling in glee while scoffing at scientists and making all things aliens. By now -- as the old saying goes – Ancient Aliens has jumped the shark several times over and has managed to keep going. 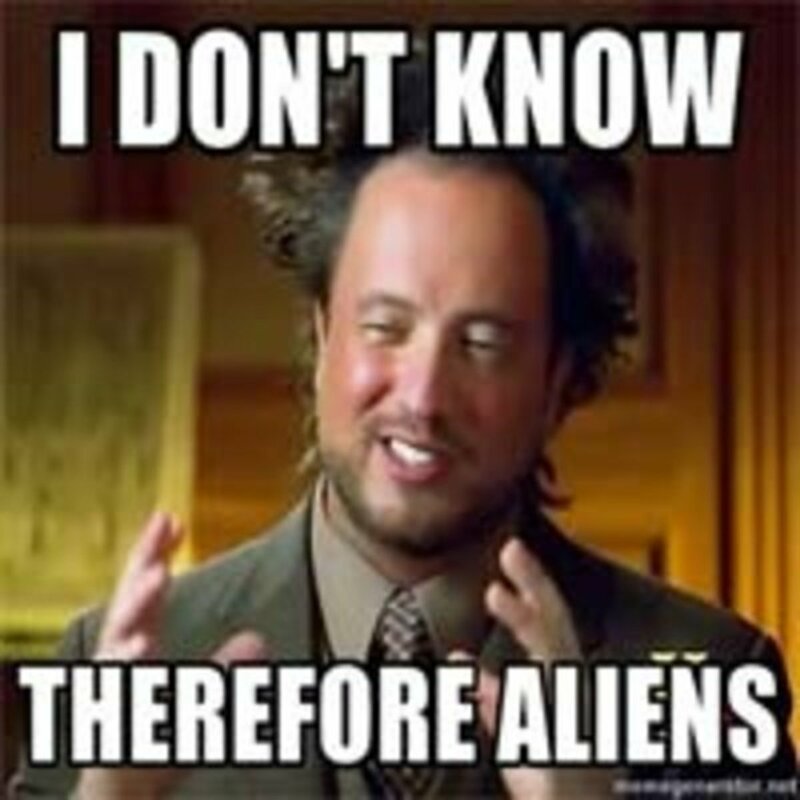 Unfortunately, Tsoukalos, Däniken, and the rest of the ancient alien theorists will credit alien involvement with that. 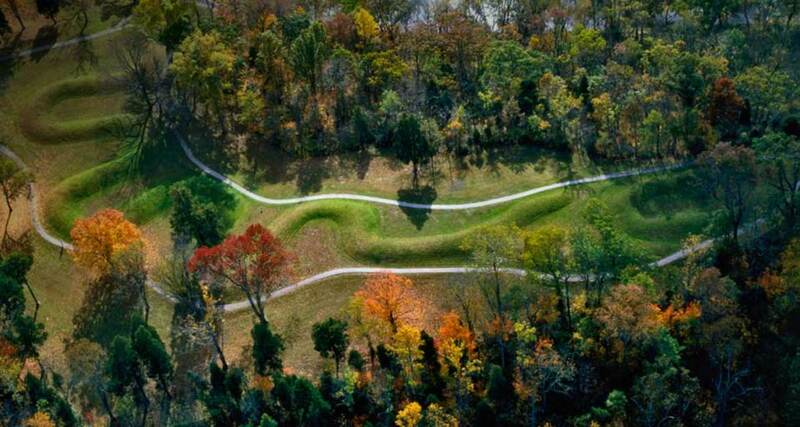 Was Serpent Mound Built by Ancient Aliens? 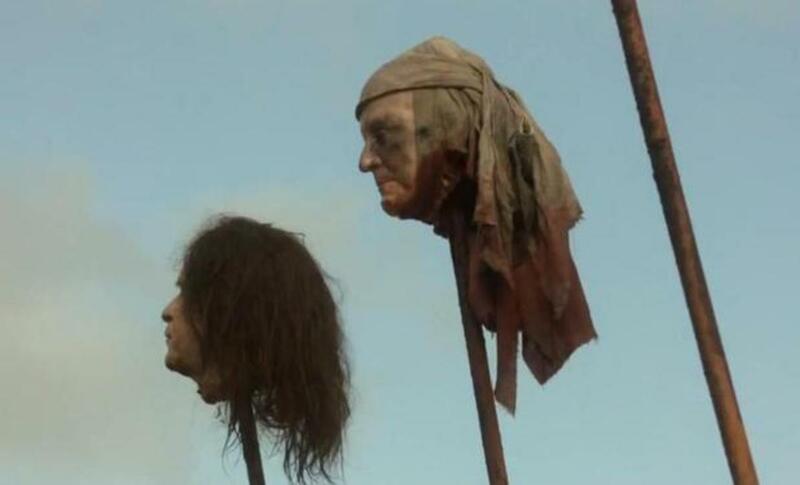 Is HBO’s Game of Thrones series Anti-American? I agree it is hard to watch some of those shows, but if you do some of the research on your own you get way more out of it. There are lots of ancient text that have many AH HA moments, like the topic of Angels or "Fallen Angels." 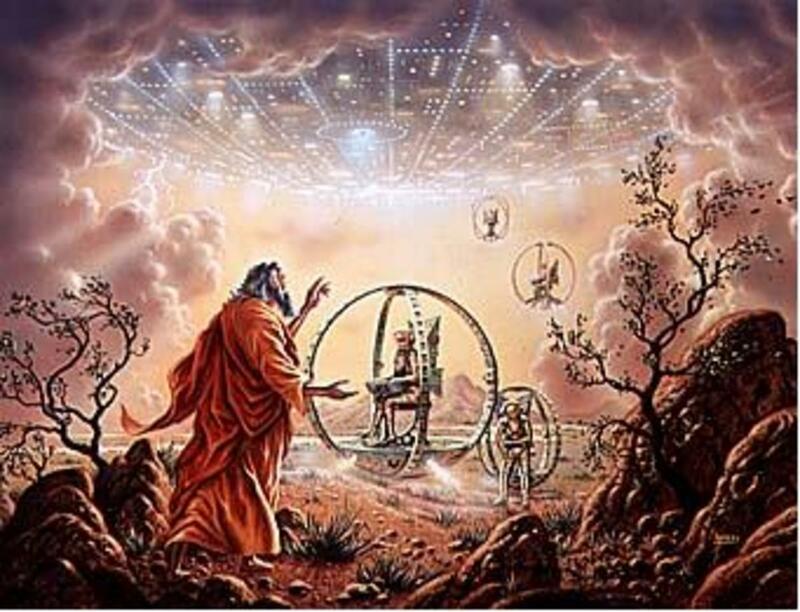 Were they spiritual entities or visitors from other planets? As a reminder to readers: If you are going to comment on this article, please refrain from name-calling and using derogatory words. If you don't like it, then express it in a way that will not get your comments banned (and not just from me either). Also, be warned, if you disagree and claim something to the contrary, make sure to have something to support your argument. As it stands, I believe the show does more harm than good. And, in an age when it seems charlatans are succeeding in every aspect of public life, there's no doubt that the BS they are pushing will have long-lasting damages to the social well-being of society. Hey Lennie clowns don't need to comment on clowns. 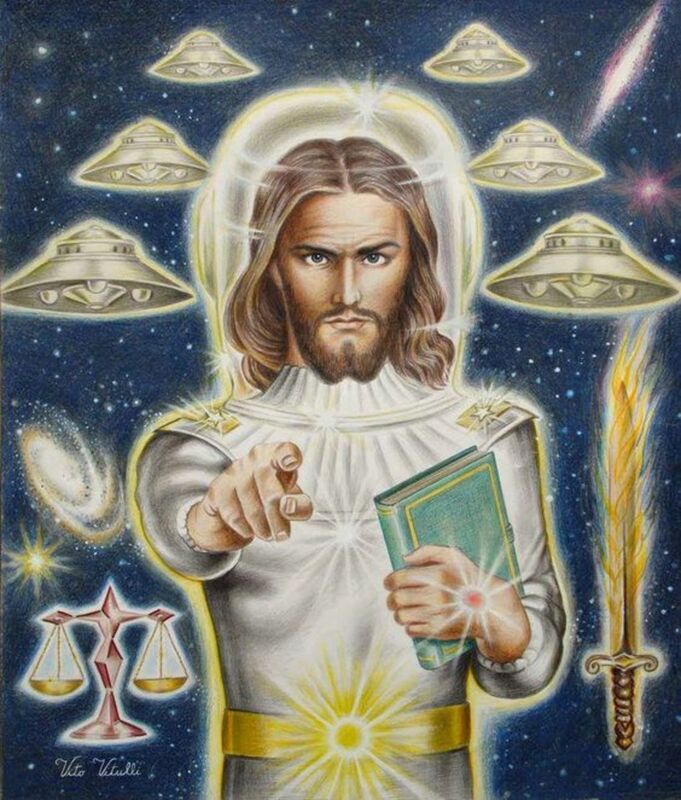 I find the ancient alien theory to be more believable than many of the religions on this earth. Also, you mentioned that it was racist, but Erich von Däniken also talked about Stonehenge, which is in England. Dean---Please, don't take my comments wrong, I don't mind one bit if you are opting for judging the book by its cover---or by judging a theory by its presenters. I can't impose my views on anybody. Einstein would be a perfect dude to see this sort of a mismatch between a presenter and his theory. His psychological evaluation would be so defeating that his theory "should" be seen as a crazy mumbling of a village idiot. Read his bio from his childhood on. Likewise, at least to me, it doesn't matter what Google has to say about those proponents of the ancient aliens theory. What matters to me is the physical evidence which I saw with my own eyes, while they were at those sites and simply pointing at them. For example, those smooth stone surfaces in Puma Punku---according to some real experts in stone shaping---and according to my own eyes---just had to be machined by a sophisticated technology. You don't have to listen to their stories if you don't want to---just look and think, how could those huge blocks be formed with such a precision thousands of years back in the past, at times when the textbooks are talking about savage tribes roaming around and using primitive tools. Again, when Einstein came to the US, he couldn't speak any English, he was even stuttering in German, but for some "mysterious reasons" no one is calling the funny looking dude "stupid". Also, let us not judge what people say by their "credentials" either, because nowadays highly educated physicists don't have Tesla's brain. And I have personally talked to some psychotherapists who were short of taking notes while I was casually describing my methods of self-evolution. Science doesn't belong exclusively to scientists these days (anymore). All in all, you don't have to like that bunch of "charlatans" if that's what you choose to call them---but use your own eyes, and the next time a "regular archaeologist" tells you that the Great pyramid was done with soft bronze chisels--- be my guest and believe him---because "he has all valid credentials" to support it. I didn't mean to make a discussion out of this, so don't mind this additional comment. So, you hate the program. Change the channel. I hate sitcoms, so I change the channel, but I don't go off on them because I know that other people like them. Most people who rant about new discoveries, and some of these new discoveries are documented, are doing it for religious reasons. But somewhere in the Bible it says that new knowledge will be revealed in the endtimes. What the Bible doesn't say is that people will believe it. Val, you do know that the two people I mentioned are known hucksters? 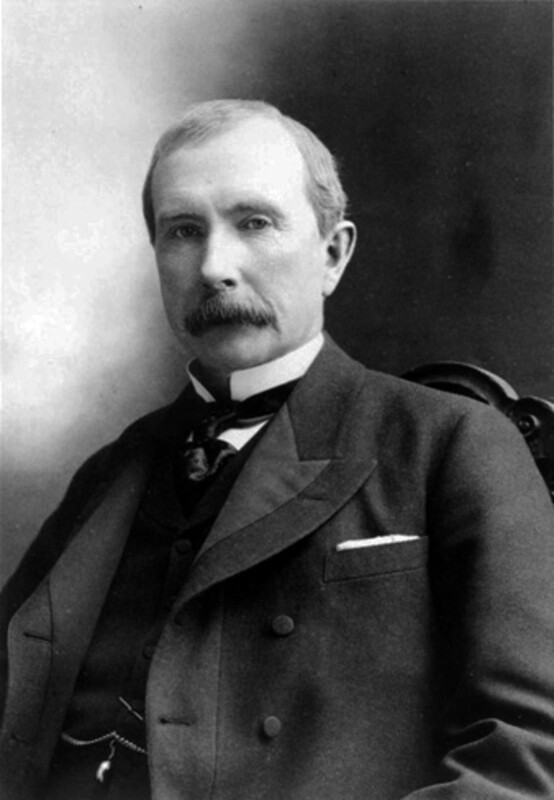 Do you realize that these guys have built empires based on stuff they can never prove? The running joke of the story is that all they do is place alien as an answer for every mystery of the universe. Also, I've mentioned that all you have to do is Google these people's names to find out who they really are. If I'm being mean to them, then that's another topic. Personally, I feel they are spreading dangerous stuff and I'm not the only one saying that. The part about this thing having a underlying racist theme has not gone unnoticed. You may not like the idea of me attacking them, but in the age of disinformation, these people need to be called out. Dean---It's perfectly all right if your intellectual preferences make you dislike the program in question---as long as you don't expect that your subjectivity says anything about it's objective value or the lack of it. You start your article by saying in so many words how much you "hate" the program, and it would be nice if you stayed at that, not trying to make of it a sufficient argument to knock it down as ridiculous. Namely, I hope you are aware that you can't debunk a theory by mocking its presenters. 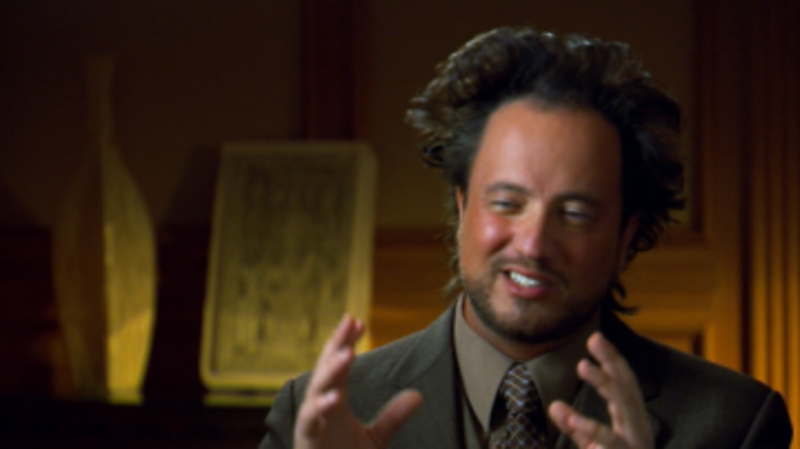 Your ridiculing Georgio Tsoukalos's hair sounds like someone who would make fun of Albert Einstein's similar hair style and by doing that believe that he has made a big dent in the theory of relativity. I also hope that you are aware that theories by their definition are not claiming to be a final word, and even the "mainstream" archaeology is just a bunch of theories. There was a time when it was a "mainstream" conviction that the Earth was flat. The "mainstream" medicine keeps correcting itself, the "mainstream" Newtonian physics is getting questioned by quantum physics, and so on. I am sure you know that what we "know" about electricity is still only a theory, and the same goes for the force of gravity, among so many, many other things in our textbooks. At this point maybe it would be good to remember that in order to debunk a theory, we would have to first be experts in that field. You may call presenters of that show all the degrading names you want--- but you are saying much more about your own credibility than about theirs. Your profile says that you are a journalist by profession. I thought that journalist's job was to provide concrete facts, not to come up with his "hate" as a debunking argument. For example, you would have to provide proofs that builders of the Great pyramid actually had more sophisticated tools than bronze chisels---which, so far is the only fact we have about the ways they could have shaped those heavy stones before putting them in place, by a method that is still giving headaches to the mainstream archaeologists. So, what's really wrong if some people who are deeply into this field--- not like you or myself---have an alternative theory about things of the distant past? Of course, much of religious beliefs are threatened by those theories, and it is "my theory" that someone will never allow anything else but the word from the holy books to provide the facts about the ancient history. Politics is everywhere, my friend. I am not defending the alien theory, but the logic about debunking it. Personally, I am freakishly in love with everything mysterious, and guess what---the truth about so much of what we think we "know" is still up for grabs. So, let's be fair about those folks who are not happy with what is "known".